I knew it! 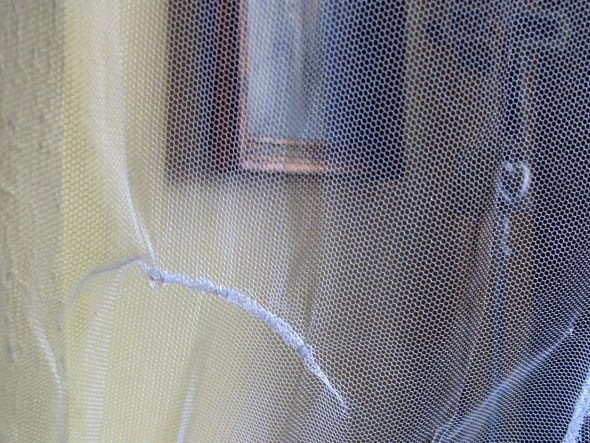 The first night I actually used the mosquito net, Bleeck decided it was a toy. I sewed the one rip he made, but what do you want to bet this thing will be one big mass of patched rips by the end of this year’s mosquito season? It’s really no fair. We have enough problems. Poor Chris. What does he do about it?